Bright and wonderfully spacious 2 bedroom loft in the Hudson - Victoria's premier heritage conversion. Floor to ceiling windows and soaring 18ft ceilings greet you as you enter this modern, east facing home. Engineered oak hardwood floors and forced air heating and cooling. Master bedroom with luxurious 5 piece en-suite encompasses the second floor. Flexible second bedroom on main good for home office, second bedroom or nursery. Chef's kitchen with quartz counters, top end appliances and plenty of cabinet space. Spacious deck for bbqs and morning coffee. Enjoy the amazing 14,000 sqft roof top patio, with BBQ, views of the city, inner harbour and ocean. 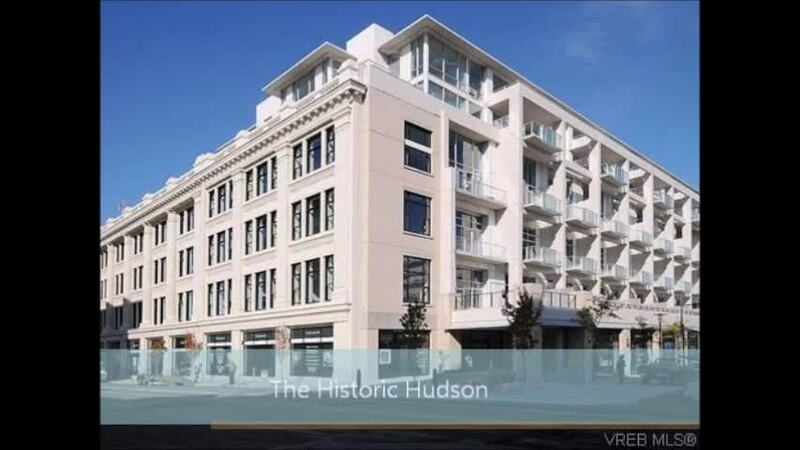 Secure underground parking, insuite laundry, separate storage, rentals allowed and pet friendly. Located in the heart of downtown, steps away from the Victoria Public market, coffee shops, restaurants, bus routes and theatre.